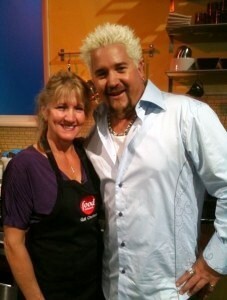 Our friend Gail, decided to enter her pizza in a contest sponsored by the Food Network. But let me give you a little background first. Originally from Connecticut, Gail now lives in Tennessee. Gail is a long time supporter of Pizza Therapy and she is like a member of the family. A few years back, we had a pizza contest at Pizza Therapy and she won top prize. Here is Gail's Winning Pizza Therapy Recipe. It is a great recipe. The key ingredient, according to Gail, was the water. New Haven water. The same water used by Pepe's, Sally's and Modern Apizza. These pizzerias are legendary pizzerias in New Haven. Gail was tired of the pizza in Tennessee and created her own pizza recipes. and whenever she traveled up to New Haven, she would return with a suitcase full of water. She decided her pizza was good enough to enter in a Pizza Showdown on the Food Network. The kicker is that during the filming of her pizza show, she traveled to Sally's Apizza. She immediately went into the ladies room and filled a bottle of water. She used the water to make her award winning pizza! I was very proud to hear our own Gail Churinetz, a winner of the Pizza Therapy Recipe Contest, was being featured on The Food Network. 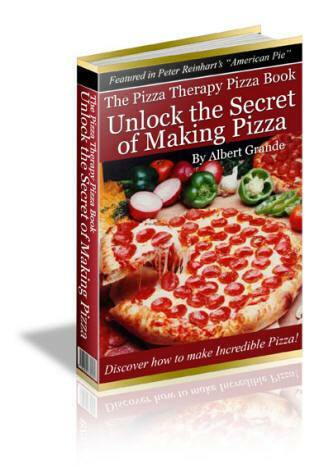 Gail has been a long time supporter of Pizza Therapy, and she is like a member of the family. Just wanted to keep you posted regarding my Pizza making…..I am the one that won your competition several years back…I am going to be on Food Network “Ultimate Recipe Showdown”, I made the finals and my recipe….. “Crawfish & Andouille Sausage Pizza”." I knew I had to interview her. And this exclusive interview follows. Gail holds nothing back in this interview. Listen to the entire interview, below. "I said Flo, I'm going to be in this competition, and I really want to use your water for this competition, is that OK?...." You can listen and download the entire interview at the bottom of this page on Legends of Pizza. Learn to make pizza with easy step by step instructions. One of my favorite movies of all time is Mystic Pizza. Although, there really is no Mystic Pizza, like in the movie, Mystic is an incredible place to visit. I grew up in the area that is was filmed and I must say Connecticut is a great place to visit. Visit my Connecticut Page, here. Digital products, secret tutorials, priceless e-books, software at your finger tips.